Carolyn has Championed a number of local initiatives during her years in public service. Below are some highlights. If you’re looking for more information about Carolyn’s goals for Ward 5, visit her Malton and Britannia pages to learn more. With a unanimous vote at Regional Council and tough negotiations with the Halton-Peel Dental Association, a free program of urgent dental care was introduced for seniors surviving on incomes below the poverty line. Their needs are great. Being unable to chew creates enormous discomfort for our seniors and untold health problems. In the first month, November 2008, the program was fully subscribed with 1,100 happy seniors. Since the beginning of the program, more than 7,000 seniors have received free dental care. Many Mississaugans have been profoundly affected by the economic downturn. In an attempt to stimulate the economy and keep Canadians working, the Government of Canada announced a $4 billion Infrastructure Stimulus Fund (ISF) for shovel-ready projects in Canada’s provinces, territories and municipalities. Municipalities like Mississauga were urged to submit applications for projects that could be substantially completed before March 2011 which, when approved, would be funded in equal parts by the municipality, the province and the federal government. The Councils of the City of Mississauga and the Region of Peel formulated and approved a list of priority projects for consideration. We received good news when Mississauga was allocated $92 million in ISF funding and the Region of Peel was allocated $90 million. The Region of Peel projects will generate 1,600 jobs and the City projects slightly more. ISF funding have had a direct impact on Mississauga. Not only will local projects fix roads, improve aging sewer systems and enhance public facilities, they will create jobs right here in Mississauga! The three levels of government are co-operating extremely well in our City. I would like to personally thank Minister Harinder Takhar and MP Bob Dechert for bringing us the largest single infusion of infrastructure money ever received by the City of Mississauga. Sound Wall Replacement in Ward 6 – Finally! The replacement of crumbling sound walls had been a contentious issue for many years. If you had driven on Mavis between the 403 and Burnhamthorpe, you saw the terrible state of these barriers. Mandated by the provincial Ministry of the Environment to reduce the noise from traffic on main roads into the outdoor living space of adjacent neighbours, many of the older walls were in a serious state of disrepair. Originally constructed on private property and built by the developers, homeowners became financially and legally responsible for large concrete walls that were virtually impossible to maintain. Over time they deteriorated to conditions ranging from unsightly to downright dangerous. The City decided to replace the walls, move them onto City property and assume responsibility for their upkeep. However, residents weren’t quite off the hook. They were expected to pay 50% of the cost of $800 per metre, with the City paying the other 50%. For most of the affected residents, the cost-sharing arrangement would have carried a price tag in the many thousands of dollars – a burdensome and unfair proposition for these hard working families. At the urging of Councillors who believed the 50/50 cost sharing arrangement was unreasonable, staff included the replacement of high-priority noise walls in the ‘wish list’ of funding applications submitted under the ISF program. I was delighted when the successful projects were announced. 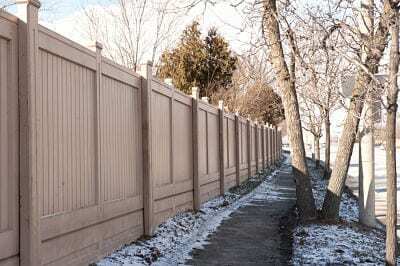 Twenty noise wall replacements were funded, representing 5 km of barriers in Mississauga, including six key locations in Ward 6. A total of $3.9 million of sound walls qualified and were replaced in 2009 and 2010 – at no cost to homeowners. I thank the affected residents for their patience and perseverance while I fought for a fairer deal. Parking at Erindale GO More Than Doubles! 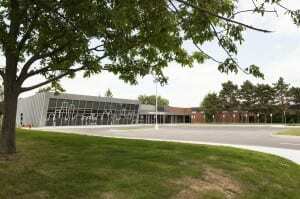 Parking at Erindale GO was a huge problem for many years! If you weren’t parked by 6:15am, you couldn’t get on a train. GO Transit began construction on a multi-level parking structure with changes in road access to the station, January 2011. Now the structure accommodates over 1,760 vehicles in an attractive multi-level parking deck. The original GO plan included a sterile concrete block structure until Carolyn and city staff took up the cause. After persistent negotiations, the province added more money to the project which resulting in a brown brick structure with attractive architectural detail, which blends into the community buildings around it. In addition to the 1,760 parking spaces, a new signalized access into and out of the parking garage was constructed on Burnhamthorpe Road West. This has reduced traffic volumes at the intersection of Rathburn and Creditview Roads as it allows travel both east and westbound along Burnhamthorpe Road West. Improvements are also proposed for the Creditview and Rathburn Road West intersection. It is important, even when projects are proposed from another level of government, that the needs of the community are taken into account. This project, in its current form, will be both practical and an asset to the Deer Run community. Plans for Sandford Farm Park were redesigned after extensive consultation with the community, creating something for everyone in this incredibly versatile park. Originally designed with two terraced soccer pitches, massive amounts of fill were trucked in to put both pitches on the same level, facilitating a junior cricket pitch for weekends and soccer for weekdays. A half-court for basketball was requested by the community and added to the plan. Increased on-site parking and a washroom facility were also part of the practical suggestions offered at the public meetings. A unique relic park was created on the site of the old Sandford farmhouse, which was unfortunately destroyed by fire. A metre-high portion of the original wall has been preserved to outline the building’s footprint. Interpretive signage were posted to add an educational aspect to this heritage feature. Flush limestone blocks were used to show the location of former out-buildings. Permanent stone tables and benches were installed for chess and other board games. Finally, the grove of mature black walnut trees were protected beside the relic park, to be enjoyed by parents and grandparents while children play nearby. Community input over several public meetings was essential to the shape of the final plan. The GTA area around Toronto was becoming known as the “Wild West” for the towing industry. After detailed study, an interim by-law was passed December 10, 2008 which slapped tight restrictions on the amount tow truck companies can charge accident victims for towing and storing their damaged cars. A subcommittee has been appointed to do a thorough review of the many festivals and special events that take place in our City. Run mostly by volunteers and paid for by corporate sponsors, in tougher times it has become increasingly difficult to continue a wide variety of community events. The Woodlands Branch Library was an old building which was clearly due for substantial renovation. In early 2009 the province announced a $24.9 million transfer of funds to Mississauga from the Investing in Ontario program. On a motion by Carolyn, Council decided to divide the money evenly amongst 11 wards to fund projects chosen by each ward Councillor. The Woodlands renovation was transformed into a total rebuild with $2.2 million added to the $1.8 million already budgeted. 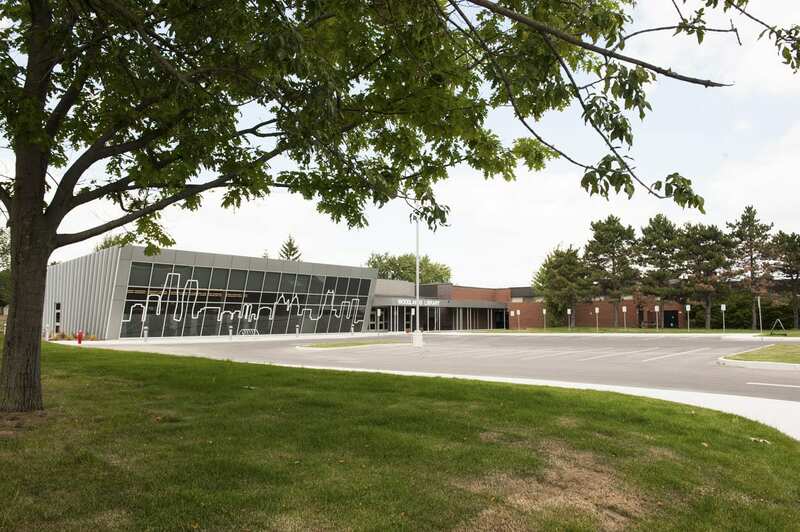 Lengthy negotiations began with the Peel District School Board for a land exchange – the old library shell for land on the corner of McBride and Erindale Station Road. Through the assistance of the local Trustee Jeff White, the transfer proceeded. The branch is a bright, modern, attractive facility which is enjoyed by both the students and the local community. For a number of River Grove residents, their builder was not completing lawns, driveways and fences. On behalf of the residents, we used the builder’s deposit to hire contractors and complete the work to everyone’s satisfaction. In another subdivision south of Britannia Road, a developer did not pay his last year’s property taxes. It takes two years to register a lien on title so the lawyers for the new home purchasers were unaware of the problem. The new home owners were then sent bills for tax arrears – two years after they moved in! The developer was eventually “persuaded” to pay the $120,000 arrears – much to the delight of more than 100 home owners. While I chaired the Region’s Government Relations Committee, a solid argument was drafted and presented to MPPs before the last provincial election, convincing them to phase out the $66 million per year Peel was sending to Toronto for social services. With 20% of our own population living below the poverty line, we made a strong case for keeping our money here. It is said that the way a society treats its animals is a good indicator of how it views its human beings. As a result of my initiation of a full review, the by-laws have been radically improved. Pets are kept longer – allowing more time to be claimed before they’re put up for adoption – or worse. ‘Pit’ type dogs are now shipped out of Ontario, once deemed to be non-vicious, rather than automatically killed. Also, Flea Markets in Mississauga are no longer allowed to sell live animals – a possible source of the spread of animal and human disease. 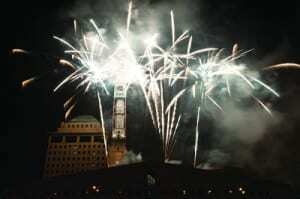 Canada Day Celebrations were, until 2008, daytime events in City Centre. Under my leadership, the events became extremely successful, with exciting evening programs added. 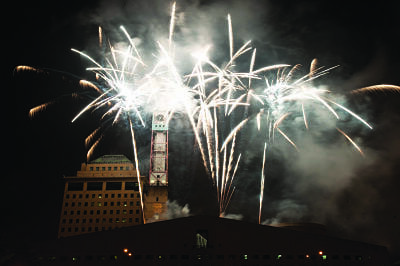 With free concerts and an incredible fireworks display, costs were covered by sponsors and private sector donors. As the City matures, we are no longer awash with funds from Development Charges. As we rebuild our aging infrastructure, budgeting is becoming a much tougher exercise. Strong leadership was required to revamp our Budget process for 2008, requesting staff to prioritize spending into three categories – ‘must have’, ‘want to have’, and ‘can do without’. Through that process, Council was able to cut $11.8 million or 4.1% from the original Budget proposed, resulting in a 1.25% impact on the City portion of your property taxes, and a final increase on your all-over bill of 3.1% for 2009. Enersource, our hydro facility, also stirred up a great deal of controversy. Whereas the salaries of the Directors on most hydro corporation boards in Ontario fall in the $5,000-$15,000 range, the Enersource Board members were being paid $38,000-$70,000 for fewer than twenty, three-hour meetings per year! During the debate at Council to lower those wages to $15,000 it was discovered that our 10% shareholder, Borealis, had 100% veto power over such decisions! A new agreement was negotiated which gave the City a more representative control of this multi-million dollar asset on behalf of the taxpayers of Mississauga. The paved lot in Erindale Park has clearly marked car-widths – increasing parking capacity by 50%. We maintained an eco-friendly environment with bioswales at the edge of the paving.